Hi all. I'm Jin and I'll be working on the designs for the Stack Exchange sites as they graduate from the beta phase. Each site will have its own unique theme that will reflects its topic. However, all sites will share quite a bit of common elements so they feel like they're part of the Stack Exchange family. Design Goal I'd like the site to resemble the feel of cooking books and magazines, or restaurant menus. It should put people in the "cooking mood." 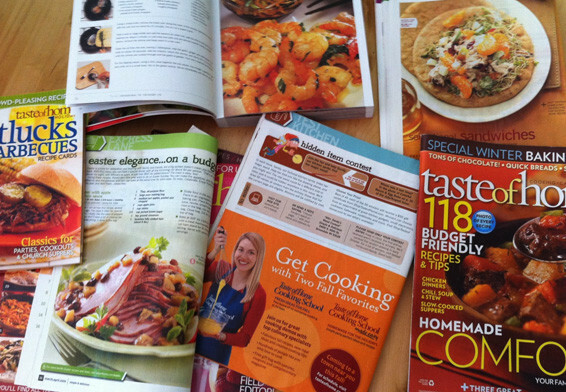 I've been looking through a lot of cooking publications lately and I see some common design elements in them. I also think adding a slight vintage look to the design will suit the theme of "Seasoned Advice." Warm and vibrant colors are appetizing. 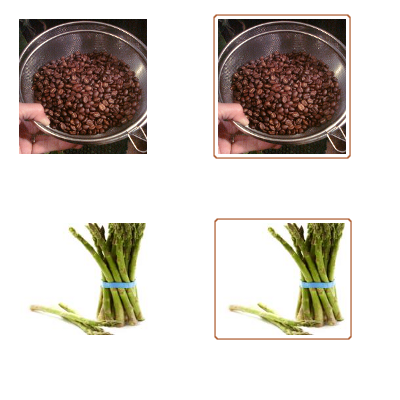 Here's the color palette I came up with for the site, inspired by cooking books. Logo We have a great domain name picked out, "Seasoned Advice." I think a chef's hat is the most recognizable imagery associated with cooking. It is used in most cultures. Initial Design Here's my mockup of the homepage. I used some old paper texture to give it the vintage look, and the colors are inspired by cooking books. The background of the site is a picnic table cloth pattern. Again, the goal of this design is to create that warm, appetizing and joyful feeling associated with cooking. You can see a full resolution version here. 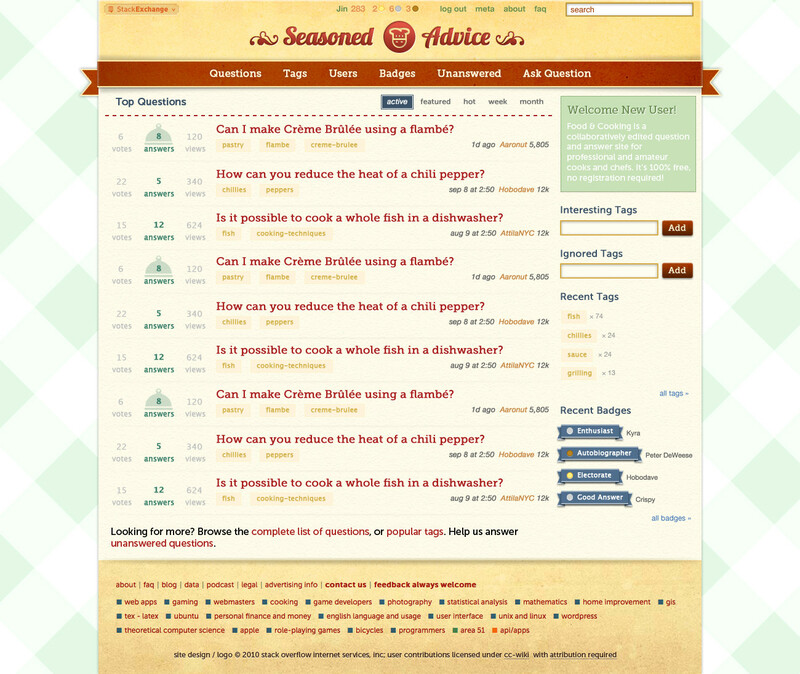 Update added Question view page mockup. (not all site elements present). Wow. I've been wondering what you were going to come up with for our site. It looks perfect. I'm kind of with Michael on this. The colour palette, while lovely, is a bit busy for my tastes. And the overall design... I understand what you were going for, but I think it looks a little too much like Grandma Macallister's Cookie Swap and Recipe Farm. Again, much like Michael said, it is not a bad design. It's just not a good design for my understanding of what this site is supposed to be: clean, factual, professional. Not 'homey.' And I'm not really a huge fan of the chef hat... why not a whisk, a knife, a spoon? I really do like the cloche for answered questions though. I guess what I'm saying is I'd really prefer to load up something that looks clean and crisp, a place where Answers Are Found, y'know? Edited to add image. I am (OBVIOUSLY) not a designer, but I figured that a quick sketch of what I was trying to say would be more useful than my words. Colours from your palette, jin. First of all, that's really gorgeous. I do see a couple of points that might be slightly improved though. I'm having a little bit of trouble reading the white text on the light green background in the "Welcome New User!" div. Can you change that to the gray that's used in the title part of that div? The text color in the tags and in the Votes and Views indicators is a little bit light as well. Maybe you could darken those up a shade or two? Those two changes would really enhance the readability of the text, but other than that I think this design is beautiful. Great work. Fantastic design, great choice of colours too. The silver badge circle at the very top looks blue to me. Maybe it's just my eyes playing tricks on me, but it does not look like the same colour as the example silver badges on the sidebar. I'm finding the vote/view counts just a little bit hard to read. It looks like you've used the same shade of gray as the current theme, but there's not a lot of contrast against the textured corn-silk background. Maybe you could just use a darker shade of gray? Similarly, the tags also have low contrast according to my screen/eyes. If there's anything you can do to make them easier to read without messing up the palette, it would really help. By the way, the dish icon for accepted answer is a great idea. Not only does it look good but I actually think it communicates the concept better than the check mark ever did. The new user text still says "Food & Cooking." I know this has very little to do with the graphic design but I just want to make sure nobody forgets. Also - contrast issues there too, the white text is quite hard to read. Other than those minor issues I think you've done an absolutely fantastic job. Thanks! I don't think the background looks like a table cloth. To me it looks more like a fence. That pattern of cloth for a picnic is always red in my mind. I think it's partly the colors and partly also that it's vertical (because my screen is vertical), so I think of it as a lattice fence rather than the cloth. Is that the suggestion for the logo as well? For some reason, I see that as a three eyed cow rather than a chef's hat on a person. Something about it just doesn't work for me at all. But otherwise, I think this is a killer layout / design. And of course please don't take this in any way as an insult! I really do think your design is well done, just not the direction I wish we would head. My first impression is that the chef's hat/head needs to go. It's a bit too "cartoony" and detracts somewhat from the elegance of the design. Aaronut mentioned a pepper shaker in one of his comments. I think a pepper grinder would be better (perhaps that's what he meant?). It is an iconic kitchen implement and would fit well with the site name, Seasoned Advice. As Bill and Aarobot, the tags are kinda hard to read. I know they're sorta low-contrast on all the sites, but for whatever reason I'm having a lot of trouble with this one - whether it's the font, the specific colors, or just the jpeg compression, my eyes get twitchy just trying to pick it out. "Ask Question" doesn't stand out from the "view" links. Normally, there's a bit of space there, pushing it to the right, making it stand out a bit. Personally, I'm not wild about the very rich color scheme, but as you note that does seem to be the tradition in cooking magazines - so probably a good choice for the target demographic. But. The picnic table background feels over used to me. 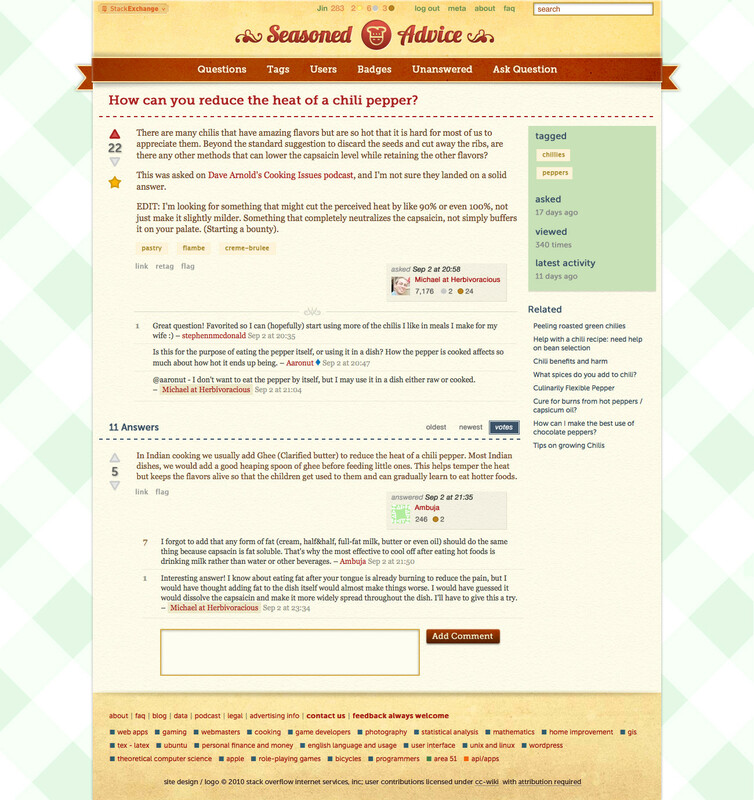 Other cooking discussion sites I've been on use it. I feel like we need something else, something better and not so cliched. Also, how are ads going to fit into this design? Are there going to be ads on the SE sites once we leave beta? I like the color scheme. I love the chef-tray-and-cover icon for "answers". I'm not keen on the folded ribbon effect, on the "recent badges" and particularly the nav bar. I think that effect is pretty common, and just doesn't stand out. The gingham background really says "cooking" to me. Lastly, I consider myself a "baker", but not a "cook" or "chef". So perhaps the Welcome New User copy could include "baker"? Thanks very much for giving use the opportunity to provide feedback on your excellent design! I'm a big fan overall. I see a cookbook connection and really like it. On the latest screenshot of the answer page, I'd request one tweak. Can you remove the drop shadow under the vote count on answers & questions? It looks a bit...1999 to me. The tags are very bland and blend in too much with the background. I think a border, shadow or some effect in like that on the tags will help them stand out more. In answering this question, something pretty important dawned on me. 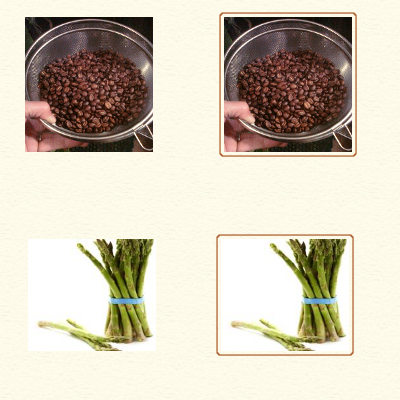 How good (bad) are inline images going to look on it? Images overwhelmingly have a white background; I imagine this will look pretty terrible when shown on the cream colored body shown in your mockups. Dude - amazing. I think you nailed it on the aesthetic. I see there are tons of other opinions, as always there will be. And you cannot make everybody 100% happy. But you did a very good job of producing a design that works exceptionally well at conveying the theme of the site, and not being at all obtrusive (IMO). This sucker belongs on some CSS galleries now! FYI - I really think you made a smart move pulling from the "old fashion cooking" aesthetic here. It's instantly recognizable for the theme, and although the primary Stack Exchange users at this time are likely to be tech heads who are the most familiar with the Stack Exchange family of sites (and consequently more confortable with the minimalist style represented on other Stack Exchange sites), a site like this is bound to draw a very non-tech crowd over time. And you design will most certainly hit a home run with them. Kudos. Not the answer you're looking for? Browse other questions tagged discussion design user-interface stackexchange . What should our logo look like? Where can we ask questions about meal planning and recipes?